This is a sponsored post created in partnership with Fatshark. Is it not a bit weird that there aren’t more co-op horde games? Given Left 4 Dead 2’s popularity and its age – it came out in November 2009, and you’re old – one would’ve thought hungry studios would be clamouring to evolve its ideas. The possibilities are endless. Where is the alien-shredding game set in the scattered wreckage of a spaceship, with its zero-gravity sections and jetpack-assisted dodges? Where is the Borderlands spin-off, in which we fight hordes of Mad Max road warriors with our truck of death and procedurally generated guns? Where is the wise-cracking team of adventurers plundering cursed tombs? Actually, that’s Strange Brigade, but it’s not out yet. And nor are the others, which returns me to the point – there is no glut of exciting horde games, and so Vermintide devs Fatshark have a rare opportunity. Sure, plenty of games offer a horde mode, often with co-op – COD’s Zombies leaps to mind – but how many are built from the ground up for this type of gameplay? Payday was an exciting innovation away from the living dead and towards organised crime, introducing more complex objectives via its bank-robbing heists. But even its sequel is starting to feel a little dated, having been released in 2013. 2016’s Killing Floor is good fun, and State of Decay 2 will release later this year with co-op multiplayer, but at this point zombies are more overdone than a Trump steak. And now I’m struggling to name any others. 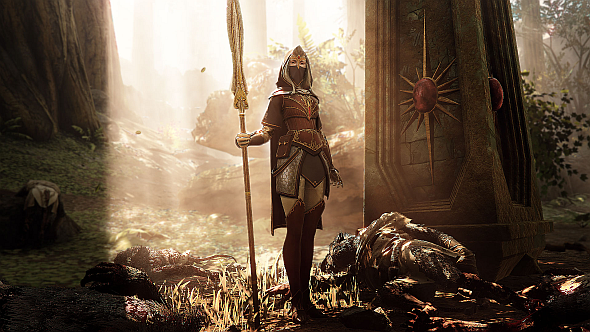 So Vermintide 2’s competition – or lack thereof – is its chance to stake an uncommonly emphatic claim to this genre, and Fatshark seem ready to capitalise. 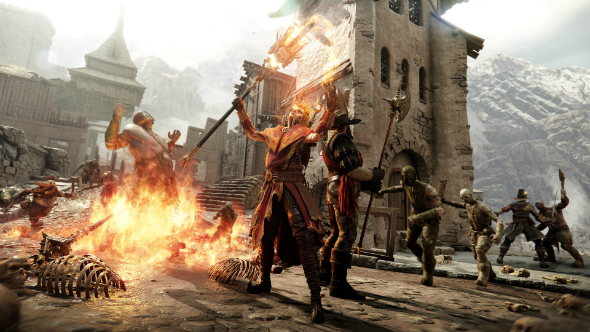 Flush from the success of the first, which has clawed its way to more than two million sales in as many years, everything we’ve seen of Vermintide 2 suggests it will be bigger, better, and rattier. The stats tell the story in the simplest way. With the addition of Chaos, there are now “something like” 28 enemy types, compared to 12 in the first Vermintide. The same five heroes are returning, but they each have three career paths for a total of 15 playstyles – more than any serious rival. Your experience can vary even within those careers, thanks to more than 50 different weapon types. Fatshark have said the new Chaos enemies represent a big step forward from Left 4 Dead, because many of them are heavily armoured. When mixed in with the sneaky, squishy Skaven, there is a new rhythm to the minute-to-minute gameplay. Vermintide’s spawn director – a L4D idea that too few imitators borrow – blends these 28 enemies in different combinations every time you play a level. This means the action rarely feels as predictable as in Killing Floor or Payday, where you can learn how enemy waves spawn. But if a level ever doesget stale, the new Heroic Deeds aim to freshen it up. These are consumable quests acquired through a revamped loot system, and because they’re of limited use, Fatshark can experiment with the game’s ruleset in the wackiest ways without worrying that they’re screwing its balance. Imagine a difficulty beyond Cataclysm, or a level in which every enemy you fight is a miniboss. The addition of careers and active skills offer new ways to tackle these challenges. Bardin’s specialisms include Ironbreaker and Slayer, which, as any Warhammer Fantasy fan will tell you, are very different flavours of Dwarf. And yet, while some careers tread on another character’s role, their approachesto that role remain distinct. The Slayer career, for instance, gives Bardin a chance to melee DPS, which was generally Victor’s role in the original game. 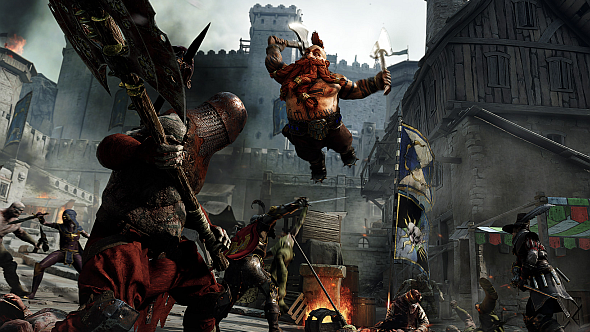 But Bardin’s approach is fast and furious, while Victor’s is calm and precise: the Slayer gets a damage buff that stacks with each hit, and a leap attack which stuns enemies and boosts attack speed. By contrast, Victor’s default Witch Hunter Captain career can instantly kill human-sized enemies when landing critical hits to the head, and his active power triggers an area-of-effect buff that raises the chance of critical hits. Both are deadly up close, but in different ways. So in terms of what you kill and how, Vermintide II looks set to offer plenty of depth and variety. And while gameplay is paramount in a game like this, it also boasts a secondary advantage over its peers: its setting. Vermintide II is set shortly after the first, meaning the apocalypse that destroyed the Warhammer Fantasy tabletop game is still in progress; the reason the Skaven have teamed up with Chaos is because they did so in the tabletop event. Though the original Vermintide didn’t make much of its setting beyond the excuse to kill hundreds of hateful ratmen, Warhammer’s 25 years of lore can’t help but bleed through – whether in the protagonists’ cutting dialogue, or the Imperial sigils that adorn the turrets of Übersreik and Helmgart. The banter is back in the sequel, bolstered with new references to the lore that explain each character’s choice of career – as a Dwarf player in the tabletop game, I’m keen to know what shame drives Bardin to take the Slayer oath. Obviously, for a certain audience, the Warhammer setting is a huge draw – how cool would it be if we get to kill a named Skaven or Chaos character as a boss? I’ve had beef with Thanquol ever since sixth edition. But even if Vermintide II would be your first interaction with the Warhammer IP, it’s these kinds of little details that make a setting come alive. 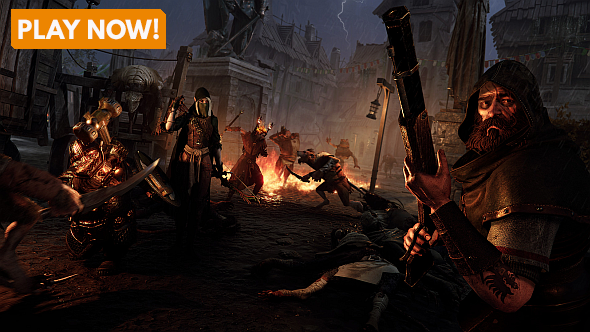 Killing Floor, Payday, and Left 4 Dead are great at what they do, but they don’t feel quite so realas Vermintide. That’s quite an achievement, since it’s got giant bipedal rats. 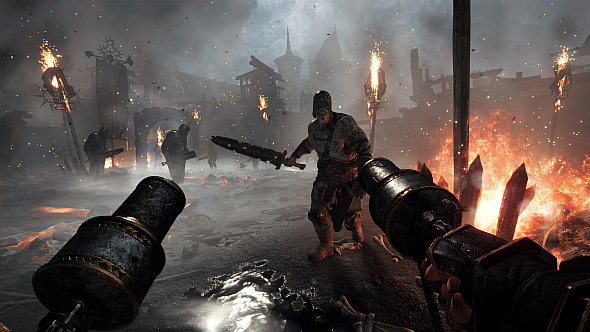 Warhammer: Vermintide II is out later today – grab your copy now.